It’s a must-stop for Twins fans. Where have all the nicknames gone? 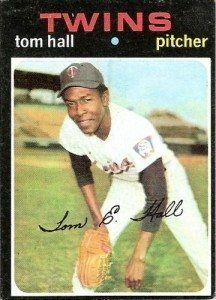 I remember the late, great Ernie Harwell saying that he believed that a shortened last name, something like “Higgy” for Bobby Higginson, didn’t compare to baseball’s greatest nicknames. That same year, on Aug. 24, Hall twirled a four-hit masterpiece at home against the Yankees. What made that win memorable? He concluded his generous letter not with an autograph, but a smiley face exclamation. I like to think of it as The Blade’s self-portrait. Coming Wednesday: Beyond the stats of Danny Litwhiler.